I know I've worn this color combo a ton lately but I just can't stop! 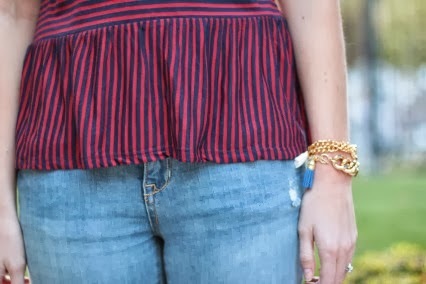 I love this striped peplum top from Forever 21 and it's looks exactly like this one from J Crew (which is now on sale). And these accessories I'm wearing, let's chat about those for a sec. 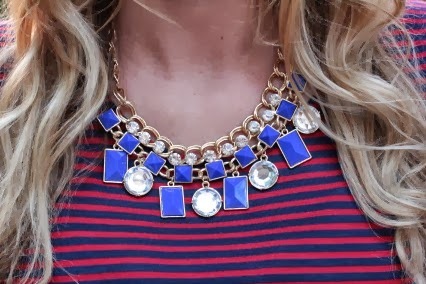 This gorgeous statement necklace is from Shy Boutique, they have tons of pretty necklaces. Here are a few of my favorite necklaces for fall here, here, and here. Don't forget to enter the Our World Boutique giveaway, two winners will receive a statement necklace!! I love everything about this outfit!!! And don't apologize about this beautiful color combo haha! I love it! I want everything! Omgsh I am so in love with this color!! you did a great job styling it! You totally made chic look effortless!! Love this! Such a fun, pretty peplum top and those shoes are amazing! I love everything about this! That shirt and those heels... simply amazing! 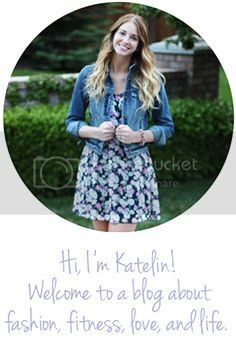 Thanks for linking-up with Wednesday Style Connection! I love that shirt with your statement necklace! Your heels are fabulous, too!